A retreat for you who longs for an exciting travelling experience combined with yoga, meditation and selfcare. 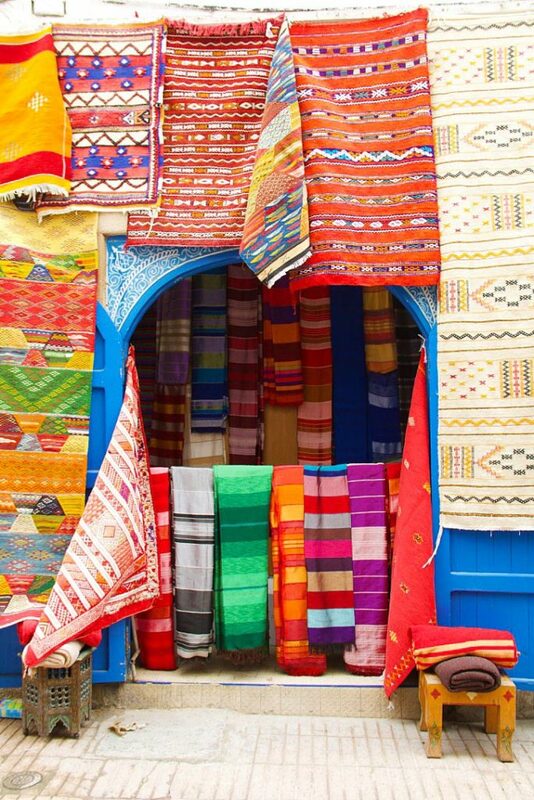 Essaouira is a colourful city by the Moroccan coast surrounded by an old medina and a beautiful miles wide beach. 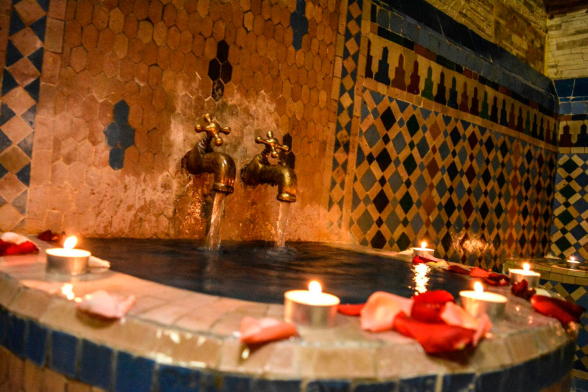 Between the two daily yoga classes you can stroll around in the cozy little alleys of the medina where mats, spices and argan oil are pampered, you can spoil yourself with hammam and spa treatments without being ruined, walking to the beach or just immersing yourself into this magic atmosphere of art, music and exciting people. 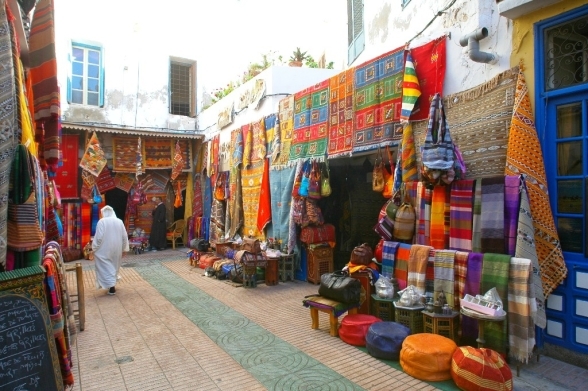 A local guide will show us around the medina of our 3rd day to find the hidden gems of the city. 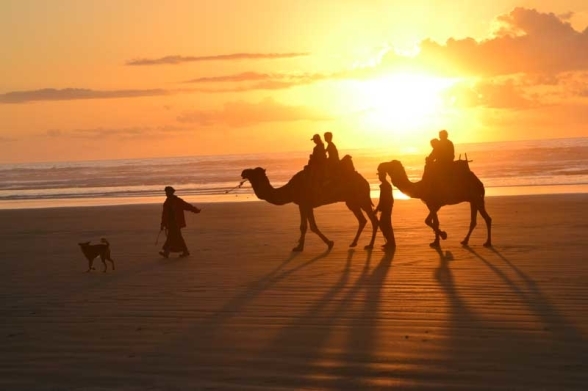 We also make an excursion and ride camels on the beach where we end the day with kundalini yoga at "the castle made of sand" where legends like Jimi Hendrix said to have as their musa when they came here in the 70's. 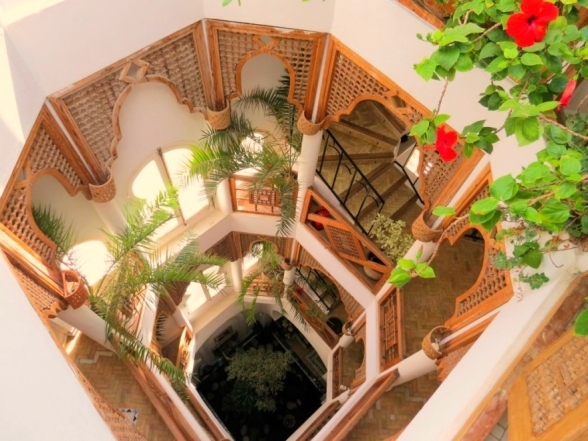 We live in a traditional beautiful riad exclusively for us in the heart of the medina with a private chef who cooks good vegetarian food. 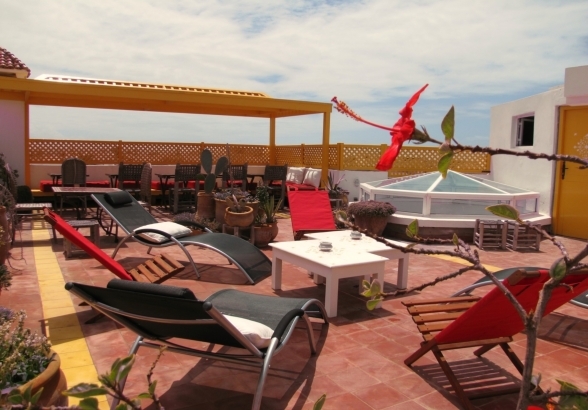 The house is equipped with a rooftop terrace where we do yoga looking over the sea and city. Witha large cozy living area with an open fire where we can do yoga in the evenings if it would get slightly chilly. We look forward to spoil you and delivering a travel experience beyond your expectations! 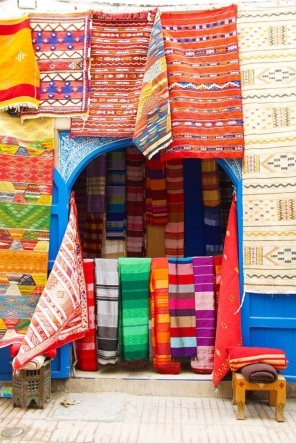 Essaouira, where to begin? 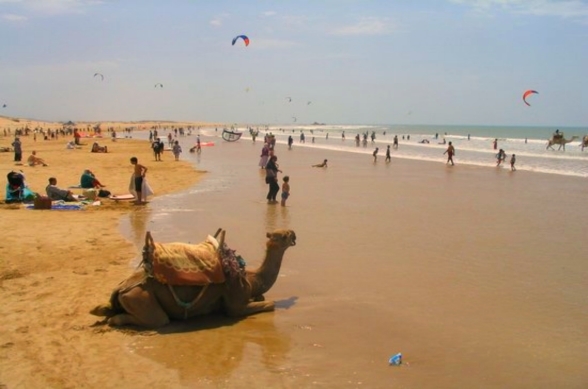 This small and pleasantly calm city compared to the neighbour Marrakesh is located by a stretched beach where the swallowing sounds of the waves help to clear the head while the feet earthing down into the soft perfect sand. 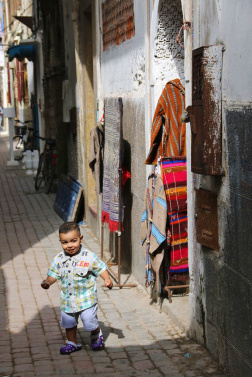 Surrounded by an old medina where no vehicles are allowed makes the city peaceful and quiet. Weather in October is still warm and comfortable for beach life. But Essaouira is so much more than a city with a beach. Surrounded by an ancient medina and with its rich culture-history, the city is listed as one of UNESCO's world heritage sites. 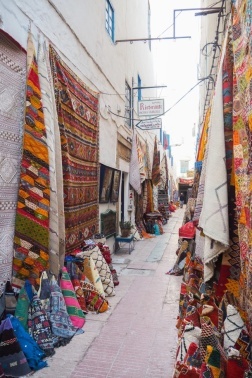 The medina is small enough not to have to be afraid to get lost through all the charming little alleys full of sales stalls of colourful spices, carpets, leather bags and the magic argan oil which is an important export product. There is much to explore here like art exhibitions, local artists and sculptors, every now and then you hear street musicians play the typical berber drums. 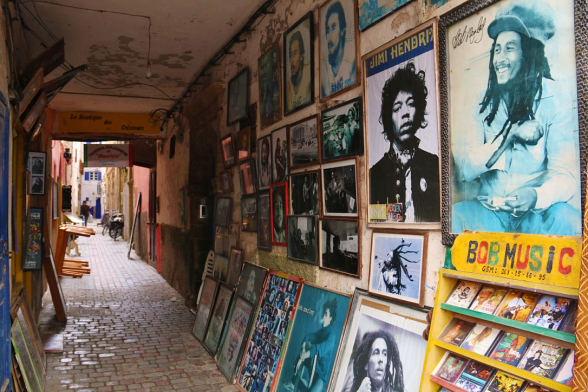 Essaouira is a home for many artists and musicians, this trend started already in the 70's when artists such as Jimi Hendrix, Frank Zappa and Rollingstones came here with their entourages. 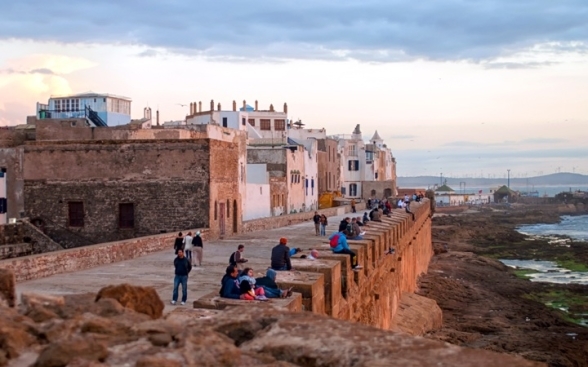 The bohemian atmosphere is still alive and the local population is very charming and most of all relaxed in comparison with the rest of Morocco's cities. Here time runs slowly and no one seem to be in a hurry, the seagulls shrinks by the fantastic fish market where the beautiful blue fishing boats are crowded and you can shop fresh delicacies from the sea and then take them to a restaurant where they grill the fish and serve it with Moroccan salad, a wonderful lunch for less than 5 euros! You can enjoy going to hammam, massage and spa treatments to incredibly reasonable prices. There are many upmarket hotels in the area where you can buy a day entrance for around 10 euro to enjoy their facilities. We will visit ”the castle made of sand”, sand-buried ruins where we will practice kundalini yoga and ride camels on the beach! 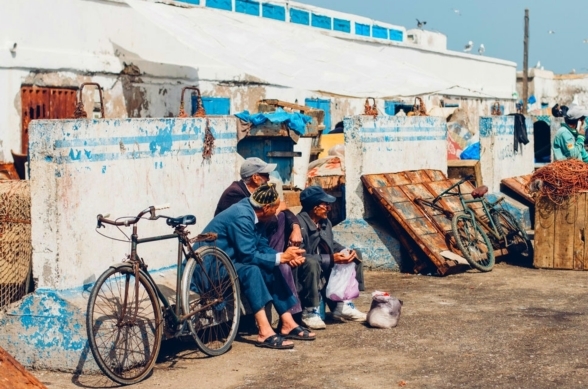 The city is a well established tourist destination but without losing it’s dignity and charm, the medina is just as important for tourism as it is for the locals daily life. 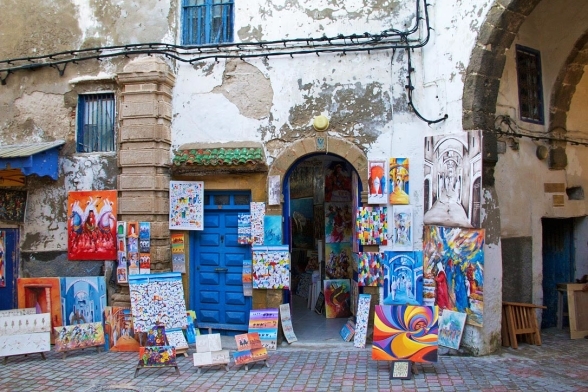 Essaouira has something for everyone and will leave no one without an impression. The best thing is maybe that, with just a couple of hours of flight, you land in a completely different world with a different culture. 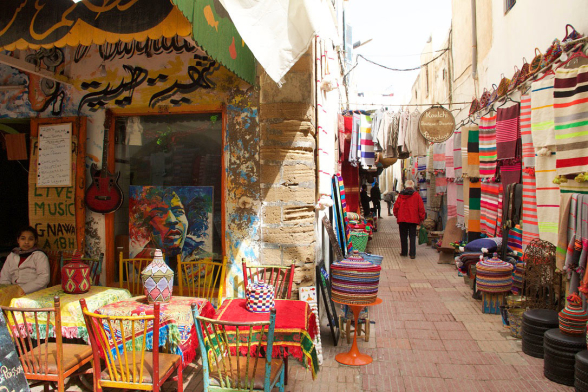 It’s a great pleasure just sitting at one of Essaouira's many cafes and enjoying the sweet myntha tea just to absorb all the colourful impressions and get inspired to shine in all your colours. Transfer from airport (Essaouira 20 min, Marrakesh 3 hours), welcome meditation, set intention for the week and welcome dinner. 20.00 Dinner out at a selected restaurant! 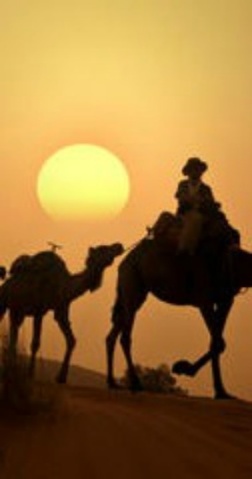 15.30 Departure to the sand buried ruins where we will ride camels along the beach and do Kundalini yoga! With our private beautiful riad we aim to create a safe and sacred space for healing and deep nourishment of the soul. We like to both challenge you with intension to grow and help you to heal and restore. Ebba and Ghita have worked many retreats together and found that their styles of yoga syncs beautifully and creating a very special magical atmosphere were people feel safe and free to shine in all their colours. In the morning there will be 90 min of dynamic yoga. Sun salutations and creative vinyasa flow sequencing for increased strength, flexibility and flow of prana (life force). In the evenings we offer yin yoga, meditation or restorative yoga. We will dive deep, releasing tension of the body, mind and allowing the nervosystem to heal. Two of the yoga classes will be kundalini yoga. And we offer an extra workshop "A journey into the heart" with guided visualizations and breathwork. 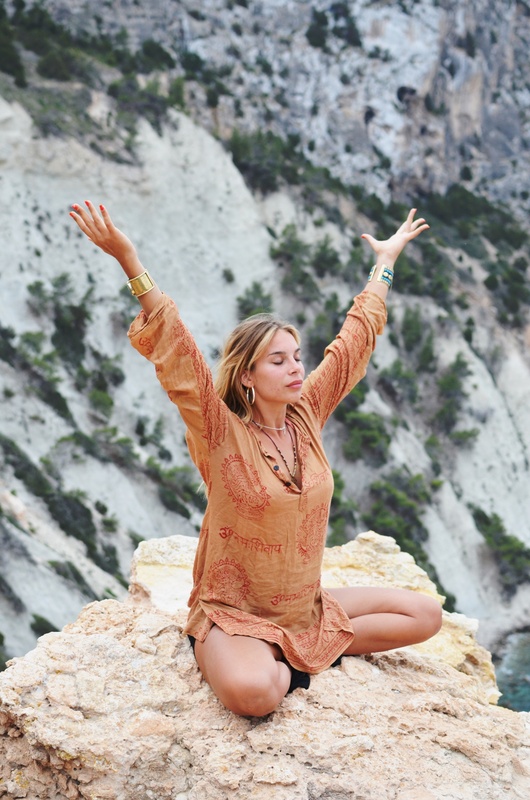 Swedish Ebba has organized yoga retreats for over 5 years and with great experience of how to create a balanced week of experiences, yoga, food and self-development. She give huge importance to “see” everyone to make sure everyone is OK and is there to give guidance if needed aswell outside the yoga mat. She has a 500-hour TTC of Hatha, Ahstanga and Vinyasa Flow Yoga. 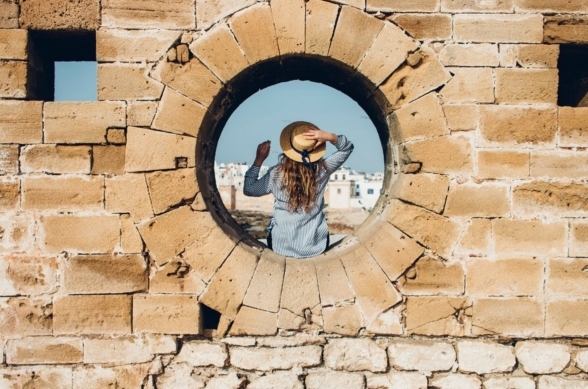 Through her travels, she found inspiration for her own style; Happy Soul Yoga, based on the joy of flow and harmony combined with deep positions. A yoga that will fill you with new energy and make you enjoy the present moment. Her yoga is suitable for both beginners and experienced practitioners. 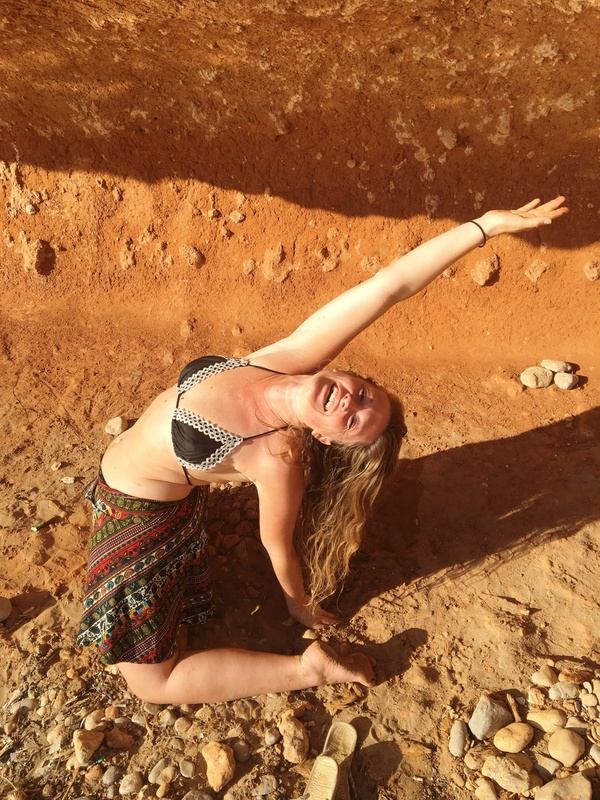 With her warm smile, nourishing energy and giving nature, Danish Ghita teaches Restorative, Yin Yoga and Meditation. She is also clair voyant and offers healing therapy during the week for those who wish to work deeper. Ghita is trained 500 hours with Yoga Alliance in Hatha Yoga and Kriya Yoga Therapy. 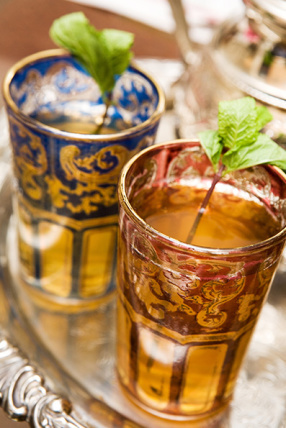 Ghita's soothing voice, great knowledge of healing the body will make you balanced and harmonious during the week. There are many spa facilities and hammams around our accommodation. 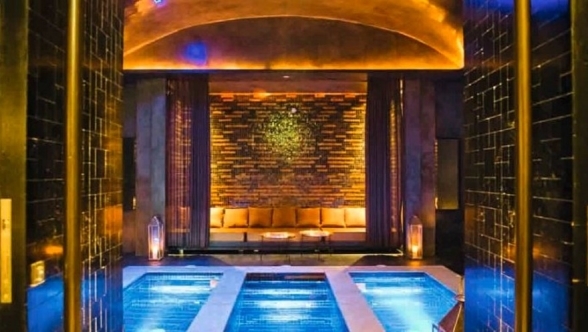 You can buy a spa entrance to some of the more up market hotels and enjoy a bit of extra luxary! Tradidional Hammam is about 10 euros. We also offer our own treatments to our guests. Ghita discovered early that she had the ability to just "know" things. Her sharp intuition, along with energy therapy and conversation, allows her to see the reason for blockages in mind and body and she explain to you why. This unique type of healing helpt many to cope with physical and mental problems. Retreat Price: 500 Dirham (about 2 hours). 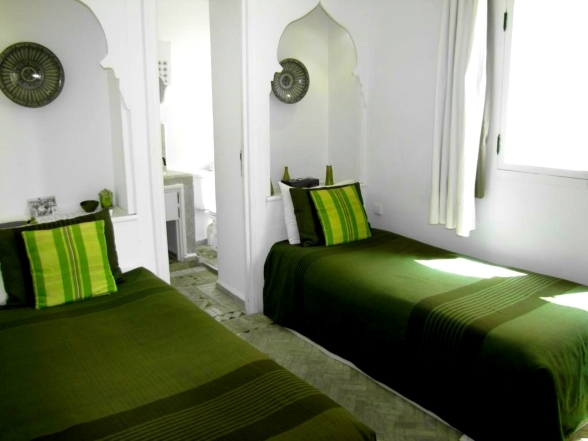 We stay in a beautiful traditional riad located in the heart of the medina exclusively for our yoga group during the week. 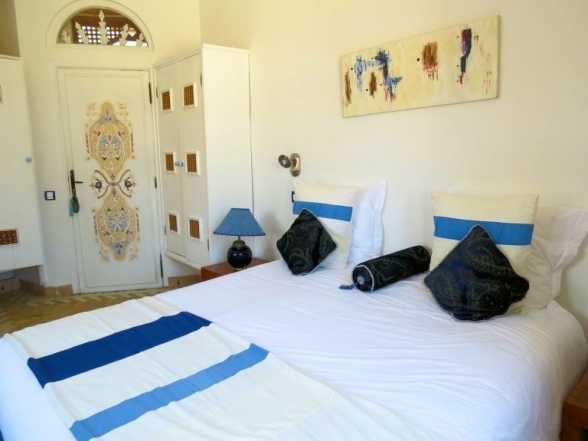 All rooms are tastefully decorated in Moroccan style and have a private bathroom. 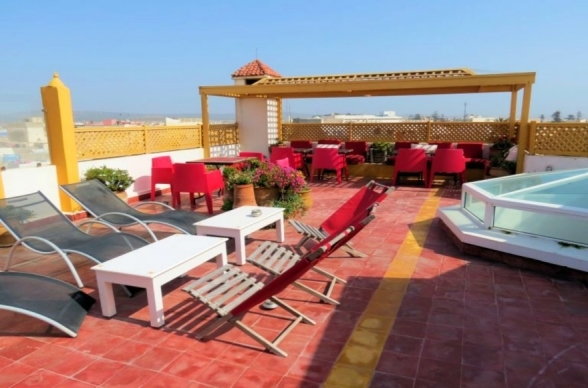 Fantastic roof terrace where we enjoy a view of the whole city while doing yoga and then after our breakfast! Cozy large living area with a fireplace where you can relax with a book or drink a cup of tea. During our more relaxing evening classes we will light up a fire and do yoga indoors. You are walking distance to the beach (7 min) and all the city's sights. The food in Essaouira is amazing! Tasty, colorful and healthy! 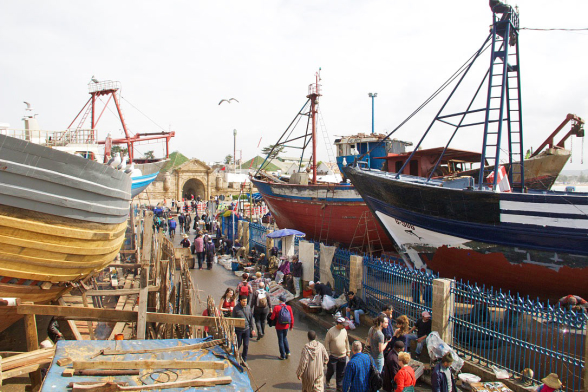 One favourite is to go to the fish market and buy fresh delicacies from the sea you want to eat and then let a local restaurant prepare the fish! 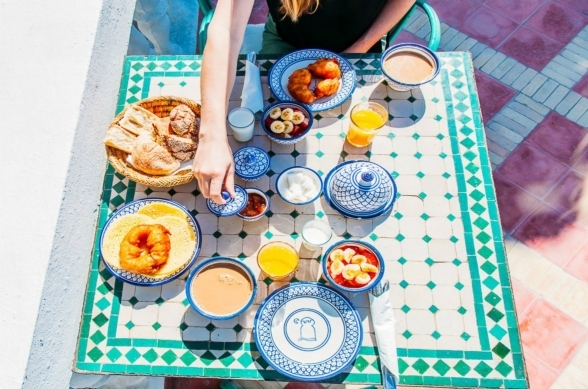 Good well-deserved breakfast is served after yoga on the rooftop terrace overlooking the city. 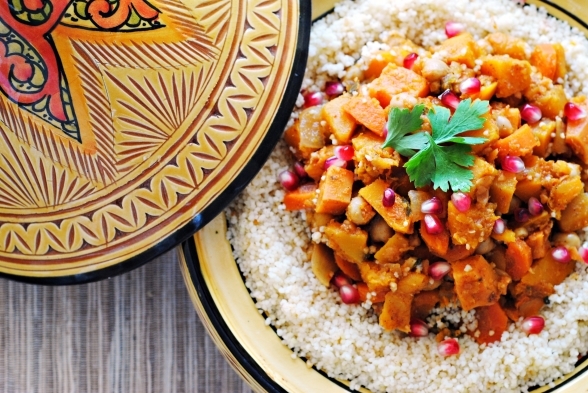 Lunches we have chosen not to include so you can explore all the cozy cafes and restaurants Essaouira has to offer. 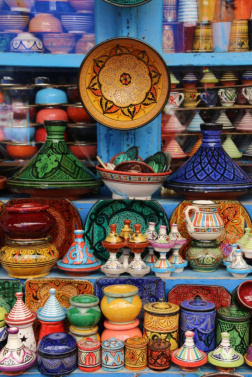 During our 3rd day we will do guided art, culture and food tour of the medina where a local guide points out the hidden gems. 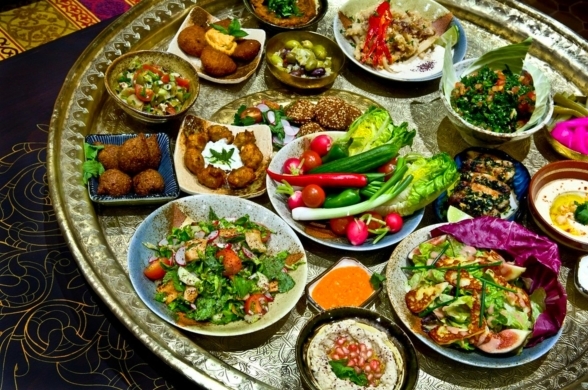 We have a private Moroccan chef who will cook our dinner, to help the body to clean out and rejuvenate all the food we serve will be vegetarian. 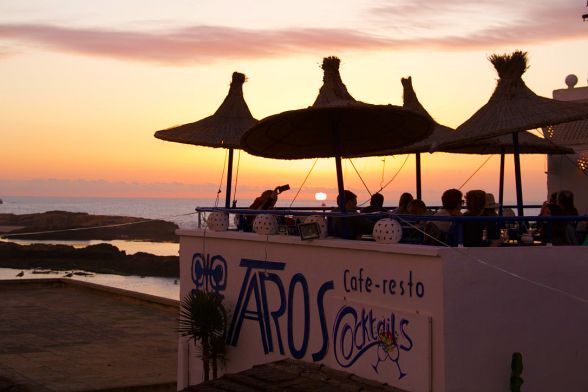 Two of the evenings we go out and eat at selected restaurants the food is included, drinks are extra. 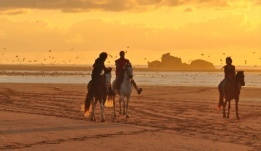 What to do in Essaouira? 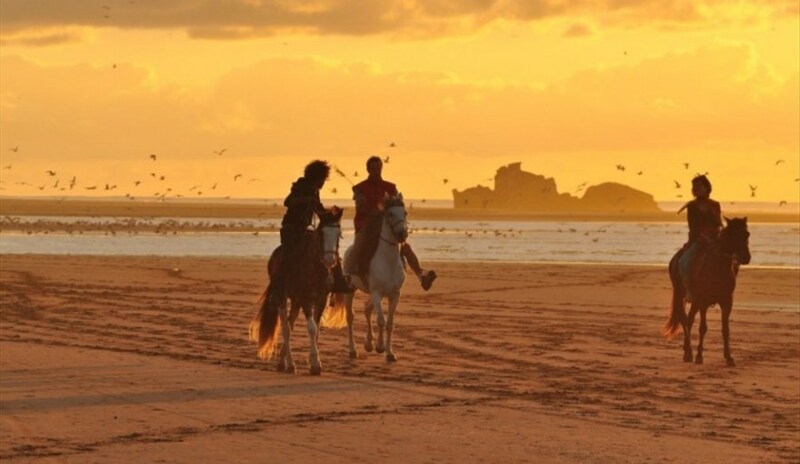 In addition to the two daily yoga classes and the planned activities on the program, there is plenty to do in Essaouira! Below we list some suggestions of extra activities. 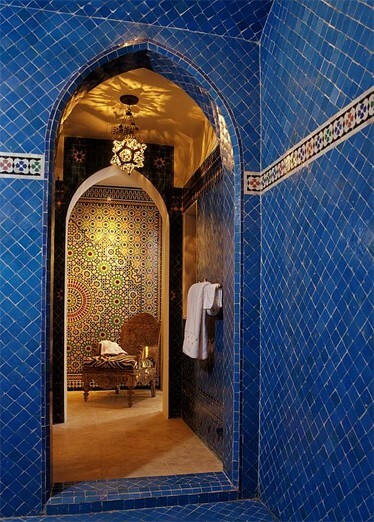 • Go to hammam and get scrubbed and lubricated from top to toe. • Shop til you drop! Lots of amazing shopping. • Sit in a cafe overlooking the ocean, drink myntha tea and "people watch". 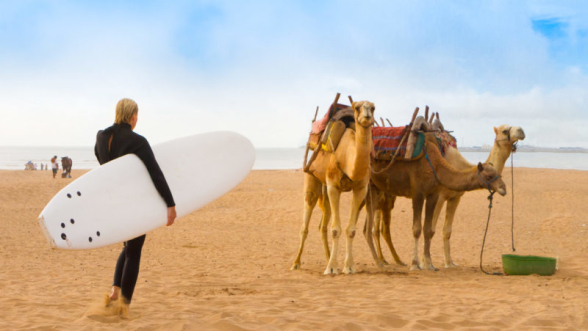 • Take a 30 min taxi to Sidi Kouki which is a great beach and perfect for learning surfing, there are several surf schools in place. 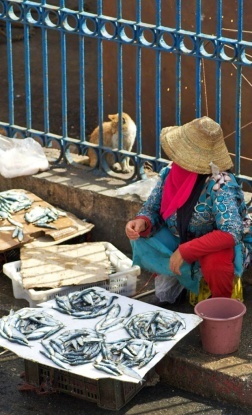 • Go to the fish market and buy delicacies from the ocean, which you can cook on a local restaurant. 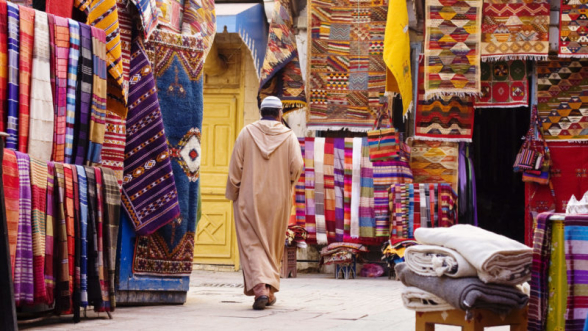 • Go for a guided tour to where the Berbers live and learn about their self sufficient lifestyle. 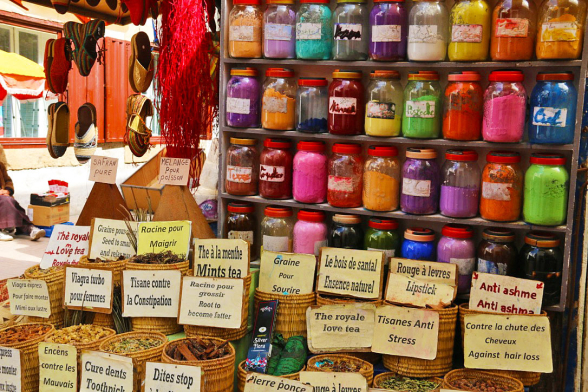 • Take a workshop in handicrafts like working in leather, tie-dye and much more to choose from. • Go see a belly dance show! 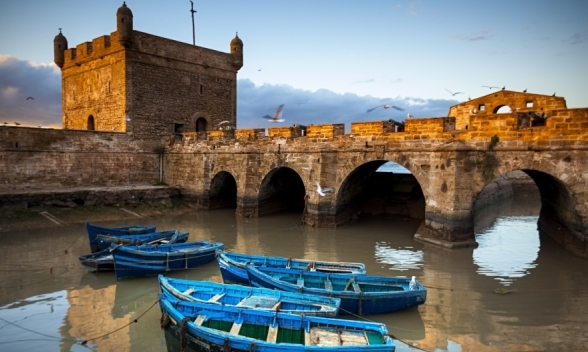 There are direct flights from London Luton to Essaouira with easy jet. We will pick you up at no extra cost at the airport. Everything is within walking distance, the beach is 7 min walk from our accommodation. 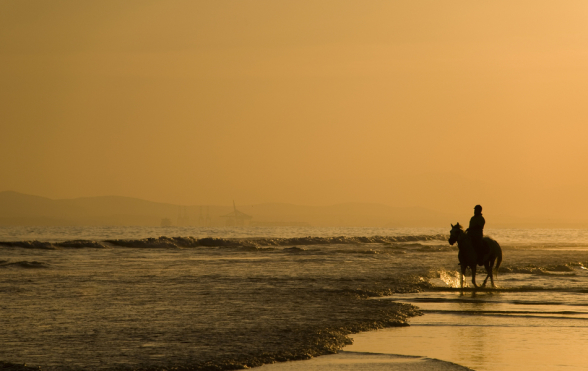 If you want to explore other beaches or do excursions we can help you to arrange taxi. 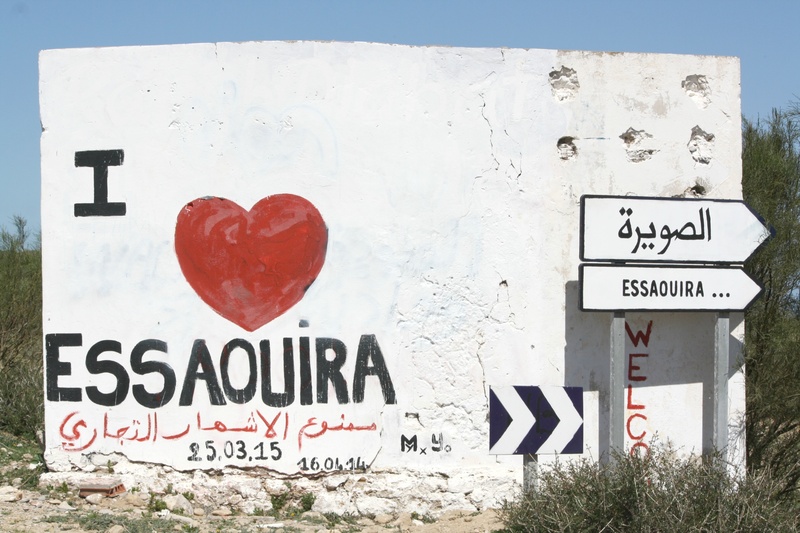 In the heart of Essaouira, a city by the morrocan coast. 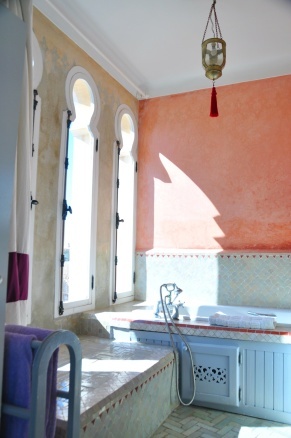 Exclusivly for our yoga group classic moroccan riad, all rooms with their own attached shower and WC. Vinyasa yoga, yin yoga, kundalini, restorative and a workshop "a journey into the heart". or fill in the form at the bottom of this page. We allow children over 15 to join the yoga retreat and if you like to bring a partner that is not into yoga that's fine, providing not desturbing yoga classes that will be hold on the roof top or in the big living area. Price for children under 18 is a 15 % discount. Partner pays full price. They might change their mind! In Essaouira no one is in a hurry and everyone like to drink tea! 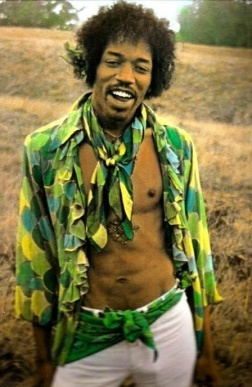 Essaouira is called "the hippie heaven" in the 70's legends like Jimi Hendrix got inspired here! 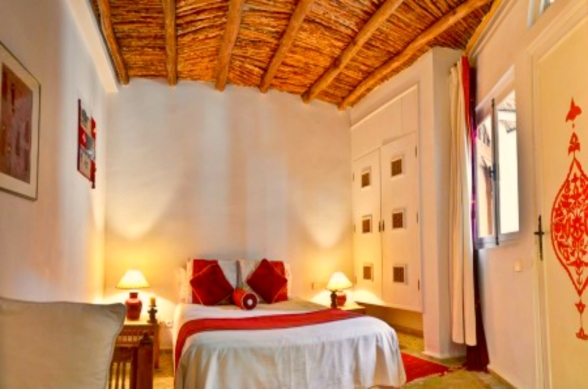 Our beautiful riad has a view 360 degree view over the city and sea. 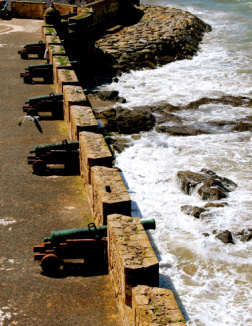 Essaouira is listed as one of world heritage site for a good reason! dromedars in the sunset will be one the highlights of the trip! 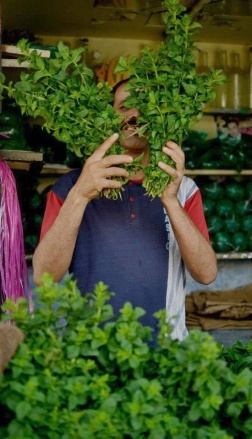 In the workshop "A journey into the heart" we explore deep layers of ourselves.. Experience a different culture just a few hours flight away. 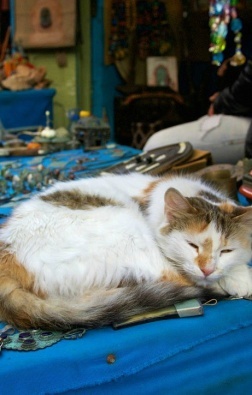 Essaouira has something for everyone!